Dry Tortugas National Park is located almost 70 miles West of Key West, Florida. It’s a cluster of seven islands that first joined the National Parks System as Fort Jefferson National Monument in 1935. The name and designation were changed to Dry Tortugas National Park in 1992 to protect scenic, cultural, marine and scientific values. Dry Tortugas is an adventure from the moment you leave Key West. 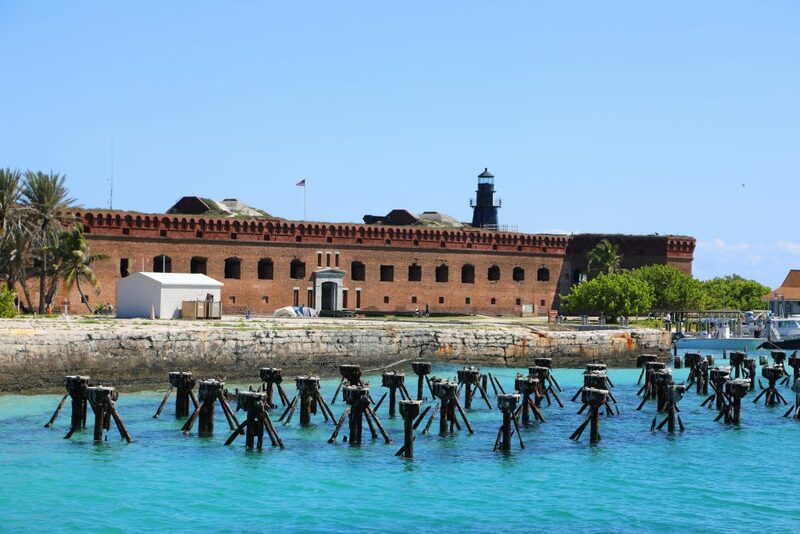 Here is my list of things to do at Dry Tortugas National Park. The most common way for most visitors is by charter boat on the Yankee Freedom. They depart daily at 8:00 am from Key West and return the same day at 5:15 pm. This gives you four hours and forty-five minutes to explore this park. This may sound short, but we found out that most people were ready at this point, especially for those not used to the high intensity of the sun at this tropical destination click here for more information. 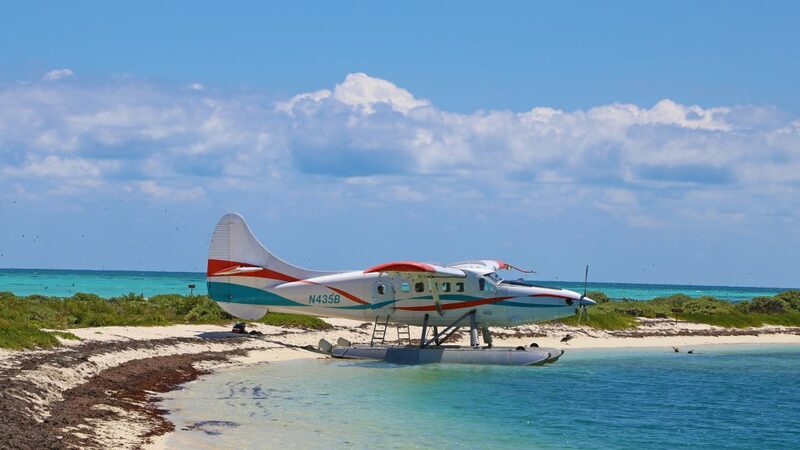 For a real adventure book a seaplane and fly to Dry Tortugas! It’s a short forty minute flight. You will get to see marine life, shipwrecks and even do a flyover of Fort Jefferson, click here for more information. 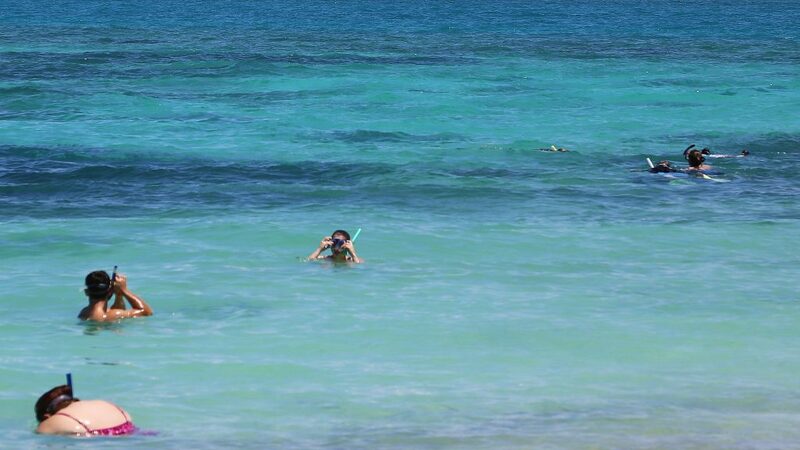 If you like snorkeling, then Dry Tortugas is a must. It is situated on the Southwest corner of the Florida Keys Reef System, the third largest in the world! It is also known as having some of the best snorkeling in North America and is home to hundreds of species of marine animals. Keep your eyes open for all the colorful coral, fish and sea turtles. You might get lucky and spot a shark, lobster or even an American Crocodile. 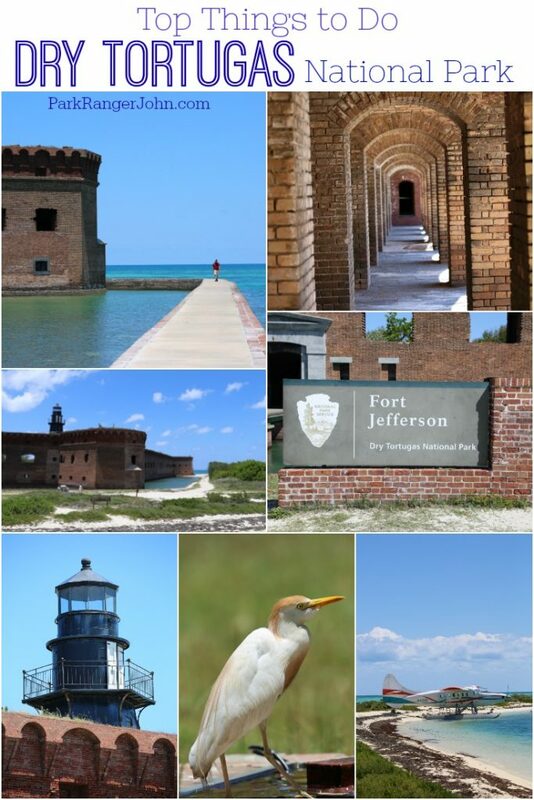 Fort Jefferson is the largest brick building in the Western Hemisphere! Although the fort was never completed, it still covers a staggering 11 of the islands 16 acres. You can take a guided tour of the fort or just walk around and explore the fort on your own. You can even stand on top and see dramatic views of the entire area! 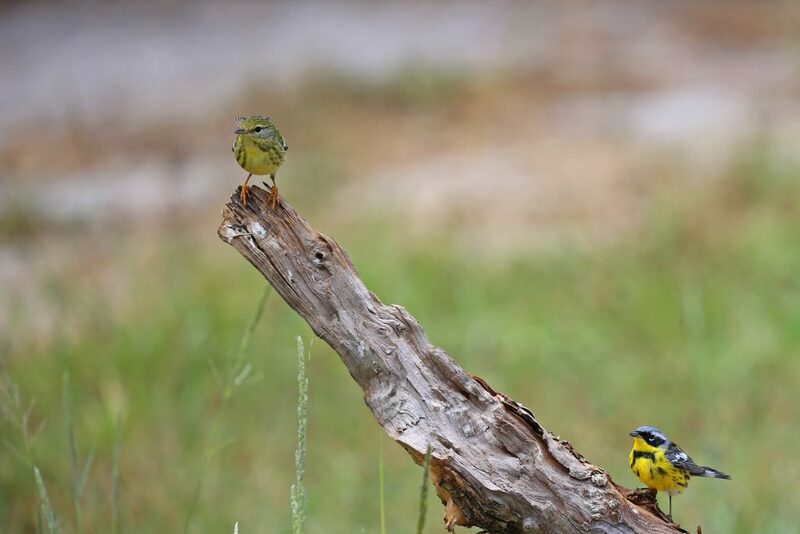 Dry Tortugas NP is a world-class birding destination and will set your inner bird nerd into sheer excitement, especially during the spring migration! This period between mid-February through mid-May can bring in as many as 200 different varieties of birds. Inclement weather will bring in a higher concentration of birds as well as more of the rare sightings. Almost 300 different bird species have been identified here and the Magnificent Frigate Bird and Sooty Terns nesting only in the Dry Tortugas within the continental United States. Let’s face it, no vacation to an island would be complete without a little R&R! Being a beach bum is the perfect activity after spending time exploring the fort and getting hot and sweaty. 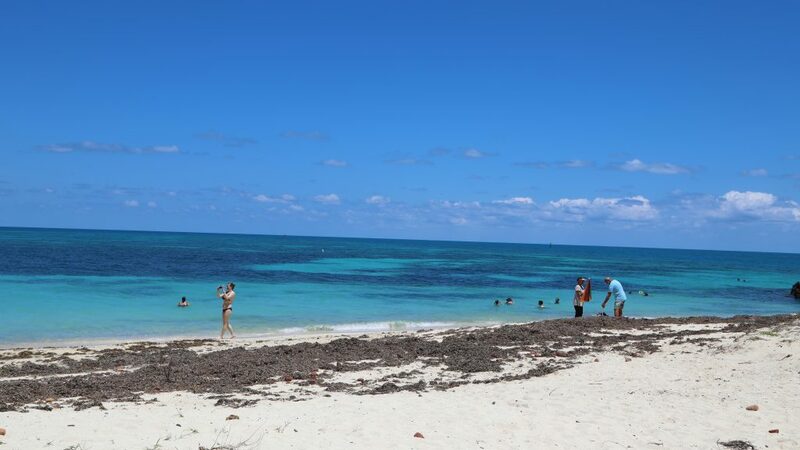 The beaches here have a gradual slope making it easy to get in and out of the water to go swimming or snorkeling or perhaps lay back and enjoy the Florida sun! Make sure and bring a towel with you, water, and shoes that can get sandy. Yes, you read right, Dry Tortugas has an American Crocodile. 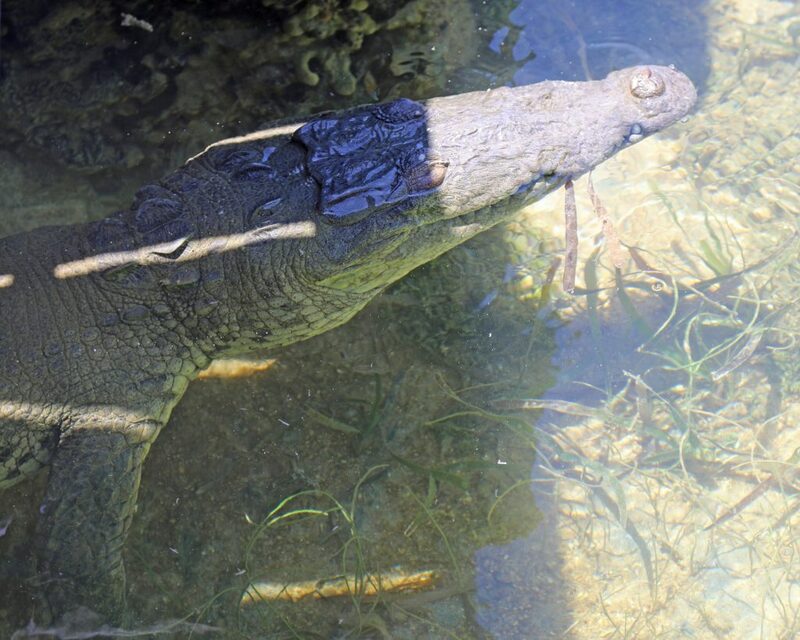 For nearly 14 years one lonely American Crocodile has made this park home. For years, it spent its time around Garden Key and Busch Key. In early 2017, the crocodile began to be seen around Fort Jefferson and the swim areas. Park visitors often fail to obey park signs advising not to approach the Crocodile, so the park’s website claims that the crocodile has been relocated to Everglades National Park which is more of its actual habitat. I did, however, see the crocodile in May 2017. Please remember that these are not pets, a severe injury could result from approaching certain animals. 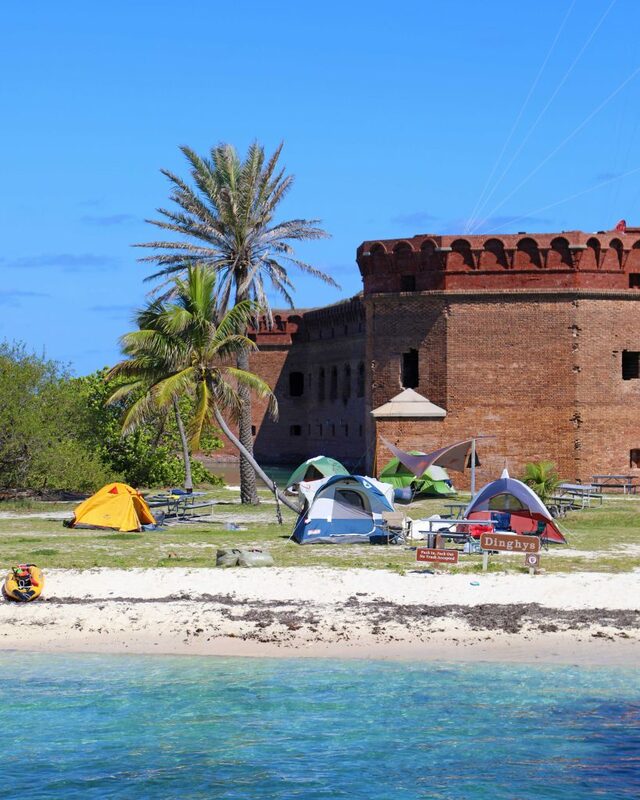 Now you have a few tips for exploring Dry Tortugas National Park. It’s time for you to start planning your trip to this fantastic park and see its incredible beauty! 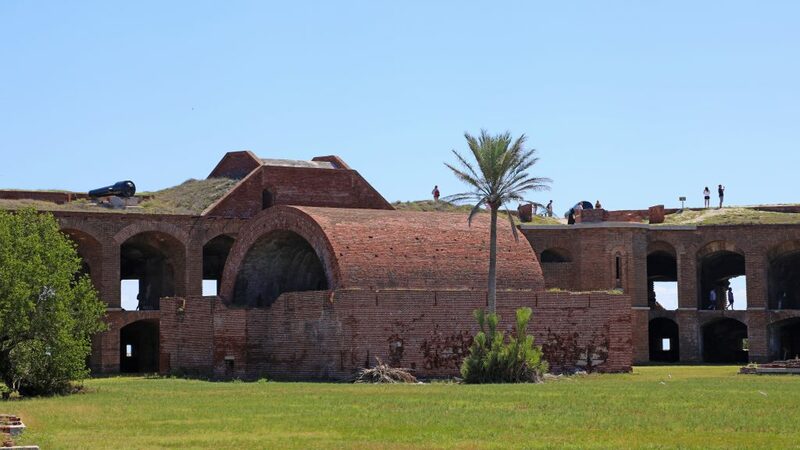 Also, check out our post on Dry Tortugas Travel Tips. Heading to the Everglades? Don’t miss our Top things To Do Everglades National Park Post!